PHILADELPHIA - Officials have identified the body of a female jogger who was found dead in a Northeast Philadelphia park, reports CBS Philly, and police are conducting a homicide investigation. Authorities discovered the body of 46-year-old Constance McClain-Murray early Tuesday morning at Pennypack Park, according to the station. "The medical examiner has just finished the autopsy and has ruled this a homicide," said Capt. James Clark on Wednesday. "The manner of death: strangulation." Clark said McClain-Murray had left for a routine jog around 9 p.m. Monday, and when she did not return home, her husband and daughter went out looking for her, the station reports. "When they couldn't find her, they then went to the police and filed a missing person's report," Clark said. The station reports the McClain-Murray was missing an arm, but friends said it never held her back from doing the things she loved. 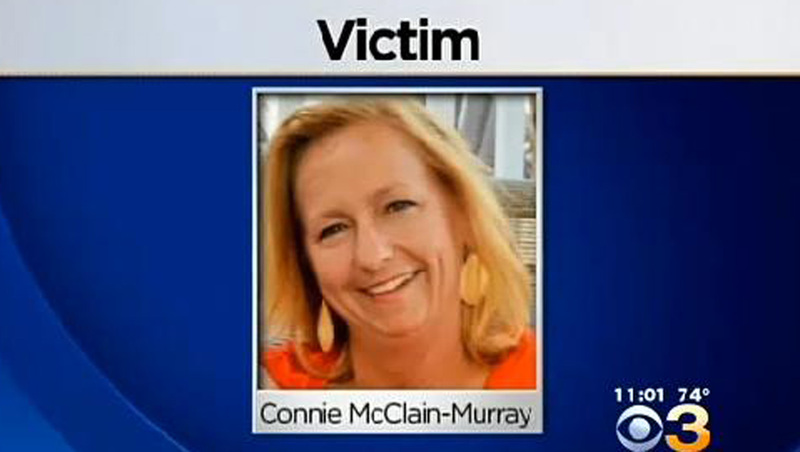 The victim's body was found the next day by a neighbor walking her dog, CBS Philly reports. A phone and ear buds McClain-Murray took with her on the jog have not been recovered. Clark said police found no evidence of sexual assault. "We don't have a suspect right now, we don't have a motive.... Hopefully we'll get those questions answered very soon," the captain said. A reward for $50,000 has been offered to anyone with information that could lead to the arrest and conviction of the person responsible, the station reports. According to CBS Philly, authorities have received a number of tips regarding the crime and are reviewing surveillance video that may provide additional information.